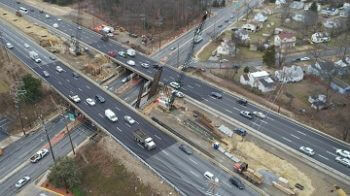 Beginning Saturday at 4 p.m., the Maryland Department of Transportation State Highway Administration (MDOT SHA) will shift traffic on the I-95/I-495 (Capital Beltway) Bridges over Suitland Road in Prince George’s County. All lanes should reopen no later than 8 a.m. Sunday. 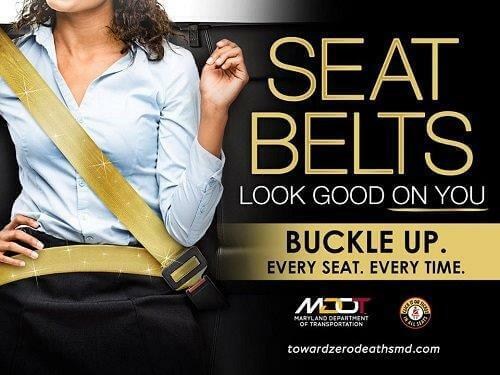 To perform the traffic shift, crews will close two lanes of northbound I-95 between Auth Road and Suitland Road. There could be brief 15-minute total closures between 12 midnight and 4 a.m. Sunday. Once the traffic shift is complete, a new traffic pattern of two left lanes and two right lanes will travel around a work zone median for the next stage of bridge demolition and construction work.